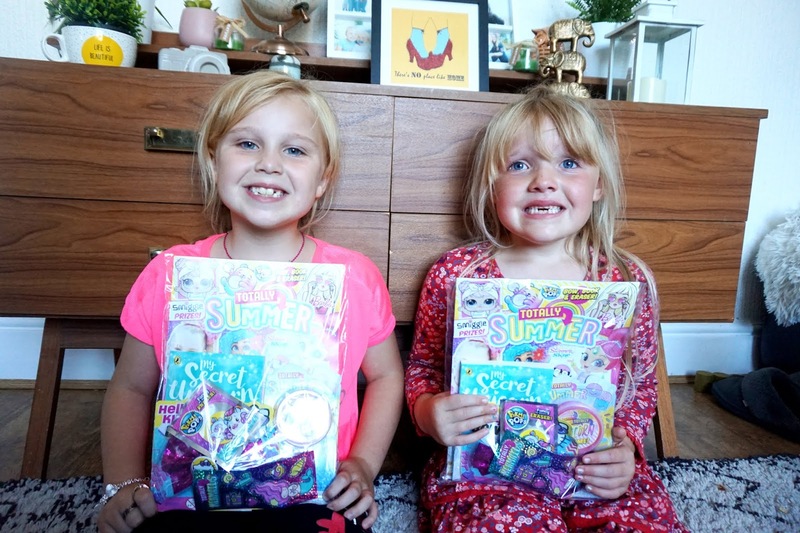 The girls recently received a TOTALLY Summer Magazine each and the moment they saw the packaging they were super excited. 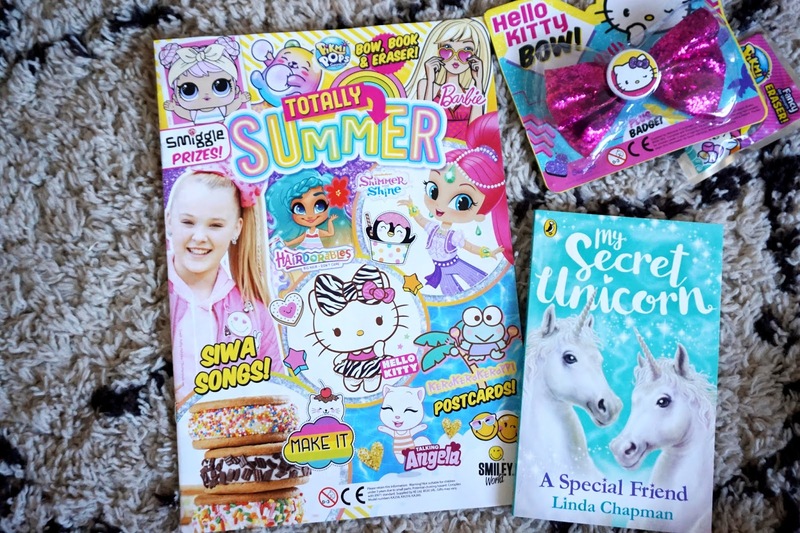 Lots of bright colours and sparkles, along with some fantastic gifts with the magazine covered with some of their favourite characters, they couldn't wait to open them up. TOTALLY Magazine is aimed towards children aged 5-10 years and has 32 pages full of craft ideas, recipes (that look delicious by the way! ), puzzles, posters, competitions and much more. TOTALLY cover a different theme each time, and this is brilliant, the girls favourite things: unicorns, mermaids, girl power, Petz and more. This issue has the most adorable dog poster which Mia instantly fell in love with, and Elliw loved the JoJo Siwa song lyrics. The gifts included were: Unicorn reading book, Slime, Stickers and a Hello Kitty Bow that's sparkly pink. 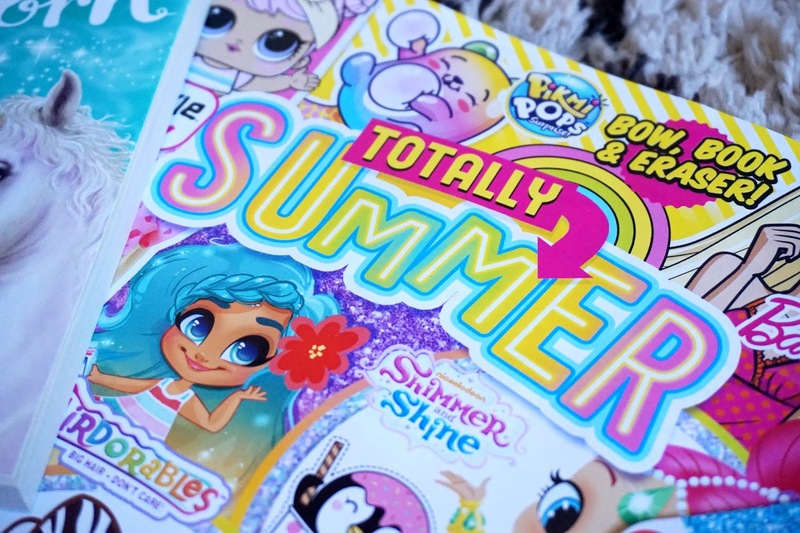 You can pick up your very own copy of this issue of TOTALLY Summer from the 9th of August and not only is it jam-packed with lots of crafts, posters and activities, but there are also lots of competitions too. You can try your luck to be in with the chance to win some prizes with L.OL Surprise! JoJo Siwa, Glam Goo, Scento, Squishes and so much more. 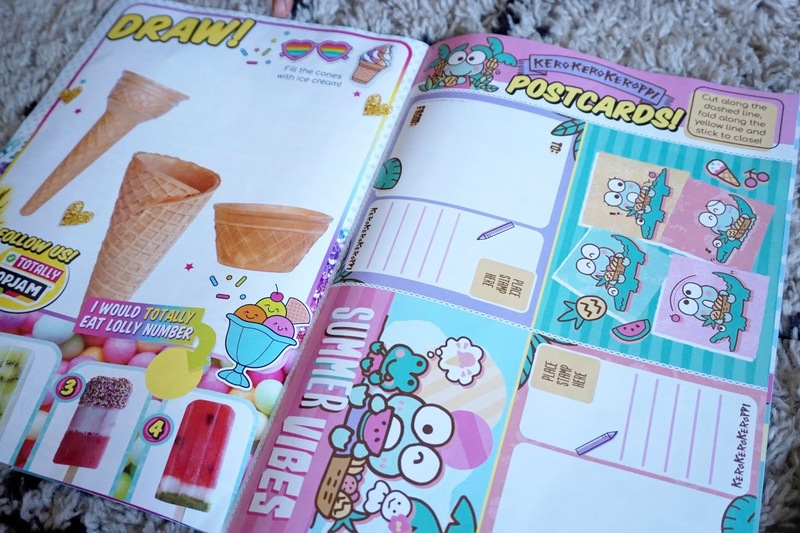 You can also try your luck to win over £100 Smiggle goodies with UK teen Youtuber Ambi C where she shares her list of Smiggle back to school list! Mia and Elliw absolutely love this issue of TOTALLY. It's totally their style, and the theme is definitely something they absolutely love at the moment. It's been keeping them busy, which is great over the summer holidays. We're even going to try our luck with their great competitions. TOTALLY magazine is available at Tesco, Asda, Sainsbury's, WHSmith, Morrisons and all good independent retailers. Prices may vary. * We were gifted and paid for this review.